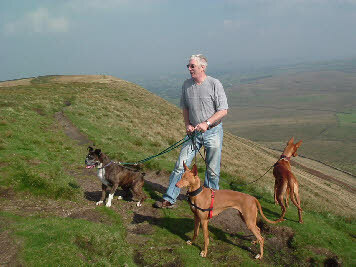 We live in Lancashire, England in a Victorian terraced house. 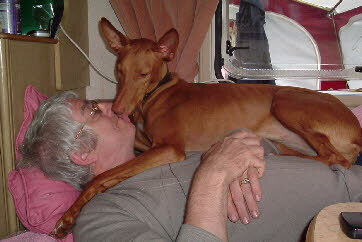 We have loved dogs as pets all our lives. 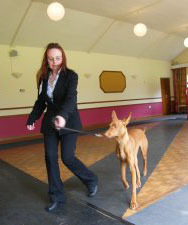 Christine started off early in life with a cross border collie in the obedience ring at the age of 12. 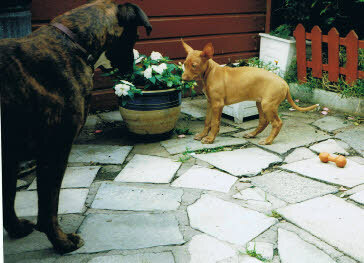 Glyn's family had always kept boxer dogs and his mother bred us our first show dog, Greta. 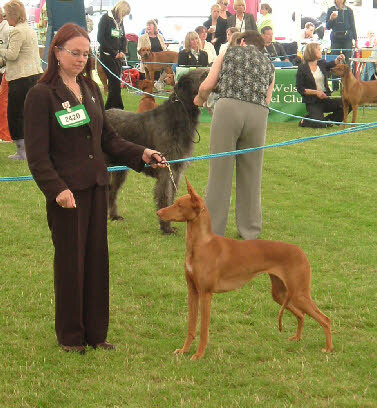 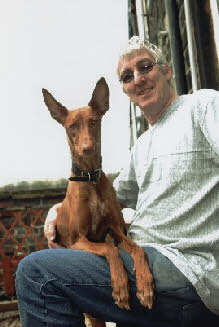 In 2001 we decided to have a change and bought our first pharaoh hound, Jasmine from Sheila Simm of the Ezhar Kennel. 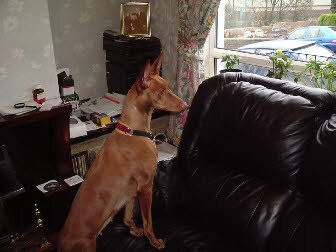 Thank you Sheila for this fabulous hound. 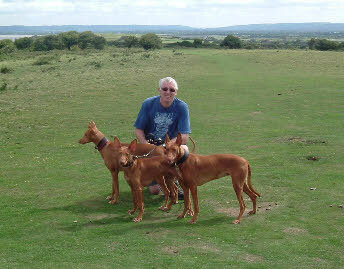 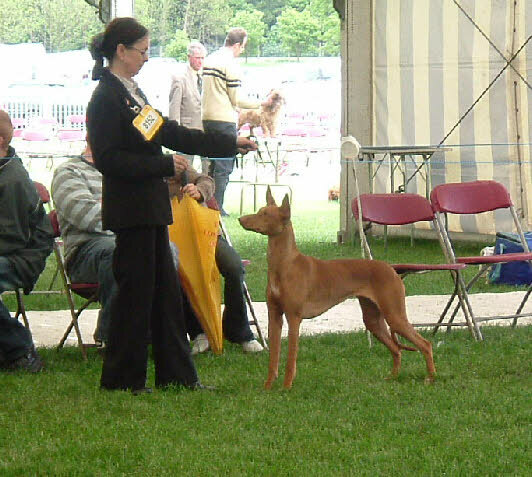 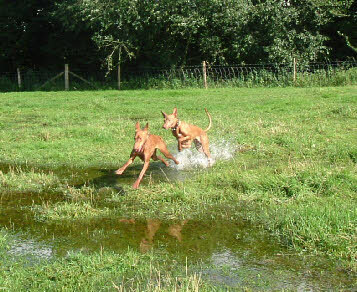 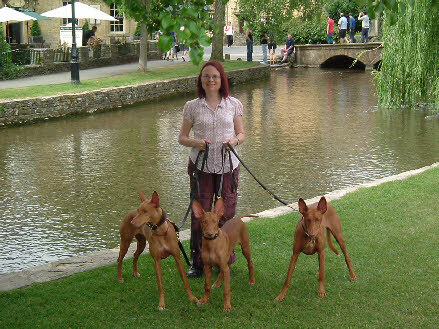 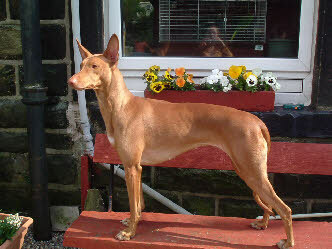 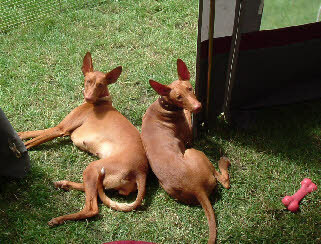 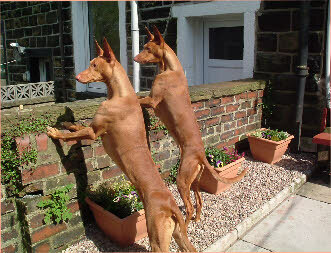 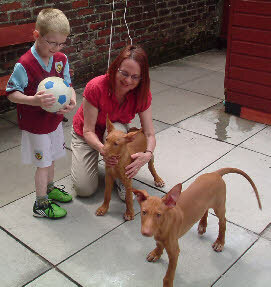 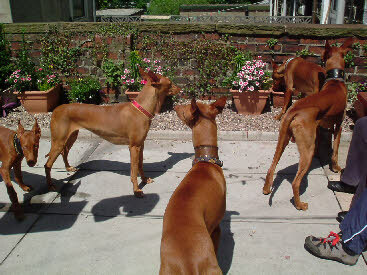 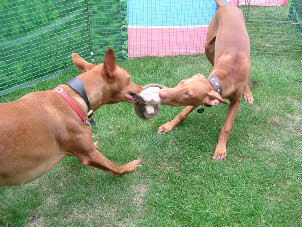 We then bred our very own pharaoh hound puppies Noneco (Eco) and Atum. 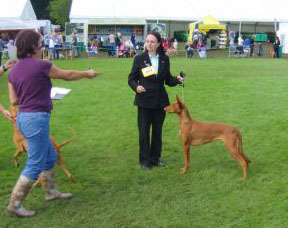 Although both our girls are show champions they are pets first and foremost, dog shows are a fun activity for us to enjoy. 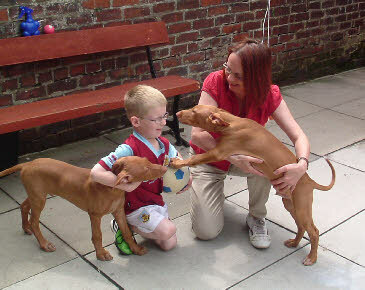 Pictured left is when Jasmine meets Carla our boxer for the first time at age 8 weeks in our back garden. 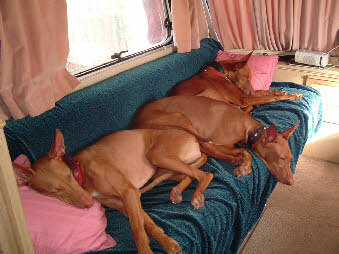 Our dogs live in the house with us and are members of our family. 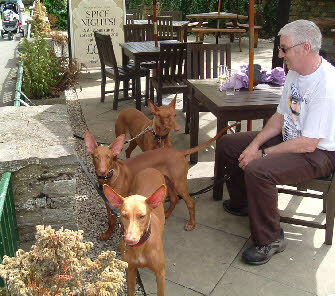 We have fun with them every day and take them walks and outings and they go on holiday with us. 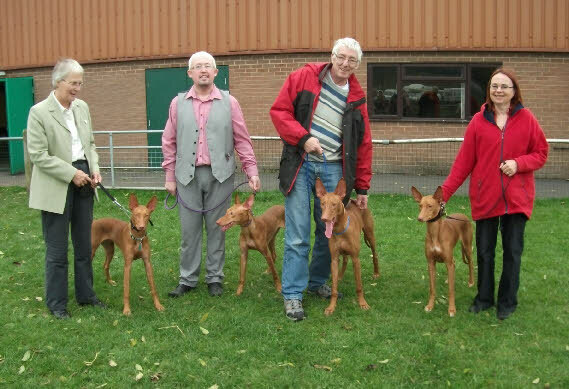 From left to right Yvonne with Mitzi, Darren with Honey, Glyn with Atum and Christine with Noneco at Midland Counties Championship Show having an informal get together after showing.